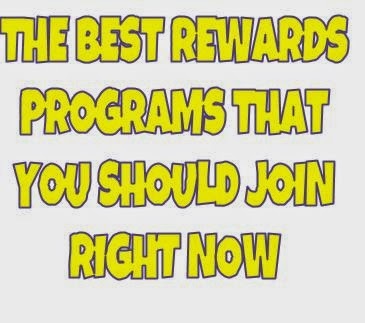 The one with the best rewards programs that you should join right now!!! I love getting rewarded for things that I am going to do anyway. I use a number of brand rewards programs and I've compiled a list of my favorites that you should join if you haven't already. 1. Kellogg's Family Rewards- Kellogg's Family Rewards is a great one if you use any Kellogg's products at all. We buy a lot of Kellogg's products between cereals, crackers, and waffles. The codes are printed right in the box and can be entered via text which I really like. The points that you get can be redeemed for coupons for more Kellogg's products. My husband likes E.L.Fudge cookies and if I catch it right, I can get them for free using the coupons I got with my points. Plus the free product I just got has more rewards points. Super cool! Also if you are a member of Kellogg's Family Rewards you get access to exclusive coupons for members. I love using coupons. If you are going to buy stuff anyway, why not get money off of your purchase? Kellogg's Family Rewards is great overall. I definitely recommend joining. 2. Pampers Gifts to Grow Program- The Pampers Gifts to Grow program is another one that I use frequently. Tristan's overnight diapers have to be Pampers and so this is another, "If I'm going to be doing it anyway, why not?" program. You can enter your codes via text. I like to just let my points sit there and then when Christmas comes around I have enough points to get free Christmas presents. We are always running a super tight budget and so Christmas could really strain if we didn't have all of my rewards programs. 3. Walgreens Balance Rewards- If you ever buy anything at Walgreens, you need to be a member of Balance Rewards. Balance Rewards will save you tons of money. They also let you clip your coupons directly to your card so you don't have to bring in printed ones. That's pretty cool. I don't shop at Walgreens a lot, but when I do, I'm always glad I have a Balance Rewards card. 4. Huggies Rewards- This is another program like Pampers Gifts to Grow Program. If you save them all up until Christmas, you'll be able to get a free Christmas present or two. It's a little less user friendly in that you can't enter your codes via text. I really prefer text method entry. 5. Bing Rewards- Bing rewards gives you rewards for searching online. Something you are already doing. You can cash in your rewards for Amazon gift cards. Amazon gift cards are as good as cash in my opinion, because you can buy everything on Amazon, including groceries. Bing is a pretty fast earner and if you do your searches religiously, you will earn about $5 a month, more if they are running a double points promotion. Every little bit adds up around my house. Do you have anymore rewards programs that you love? Tell me about them!